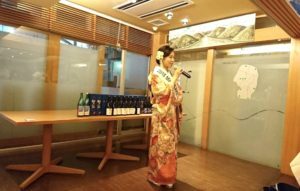 1 Asami Sudo, 2018 Miss SAKE, joined the “Chitoku 2018” tasting party at YAMAGATA San-Dan-Delo, Ginza. 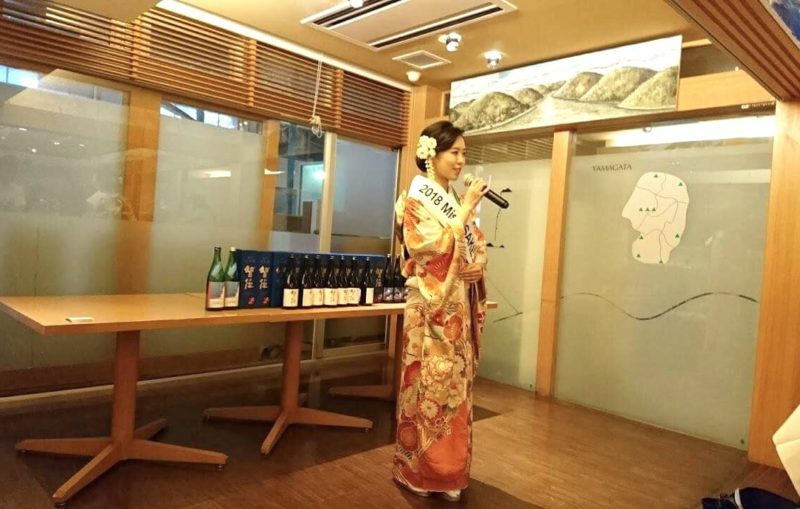 Asami Sudo, 2018 Miss SAKE, joined the “Chitoku 2018” tasting party at YAMAGATA San-Dan-Delo, Ginza. On July 4th, I joined the “Chitoku 2018” tasting party at YAMAGATA San-Dan-Delo, Ginza. 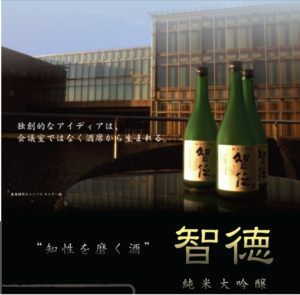 Chitoku is a special sake of limited production supervised by Kato Kahachiro Brewery and Institute for Advanced Biosciences (IAB), Keio University located in Tsuruoka, Yamagata. 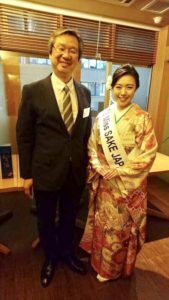 Prof. Masaru Tomita, Chief director of IAB and his sister, Mrs. Rie Seno, have done a lot of PR activities of SAKE. And Mrs. Seno was selected as one of the 2nd SAKE SAMURAIs in 2007. 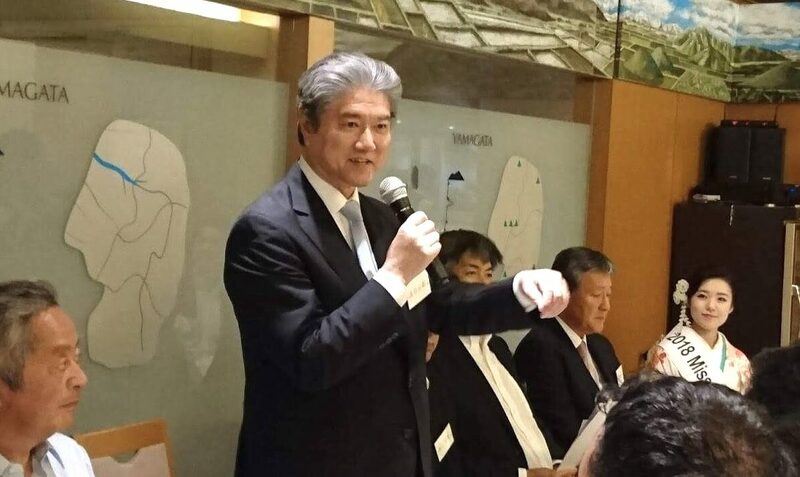 Tsuruoka City is attracting so much attention these days as where advanced and innovative biotechnology venture corporations are gathered that the city was selected as the third innovative city in Japan by 2017 Forbes JAPAN ranking. Such an innovative city, Tsuruoka, has been also known as famous sake brewing city. 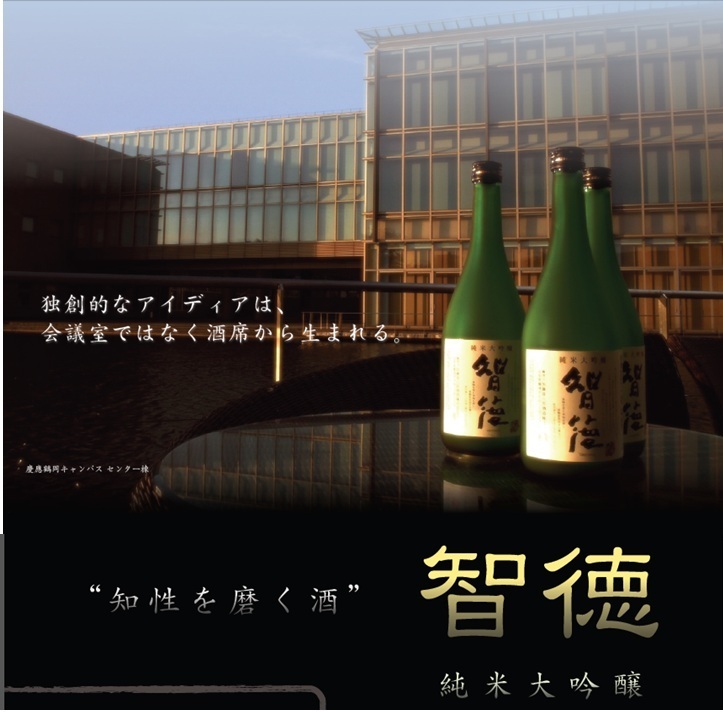 So, Chitoku is nothing but a result of collaboration of Tsuruoka’s great sake brewing tradition and high-technology . 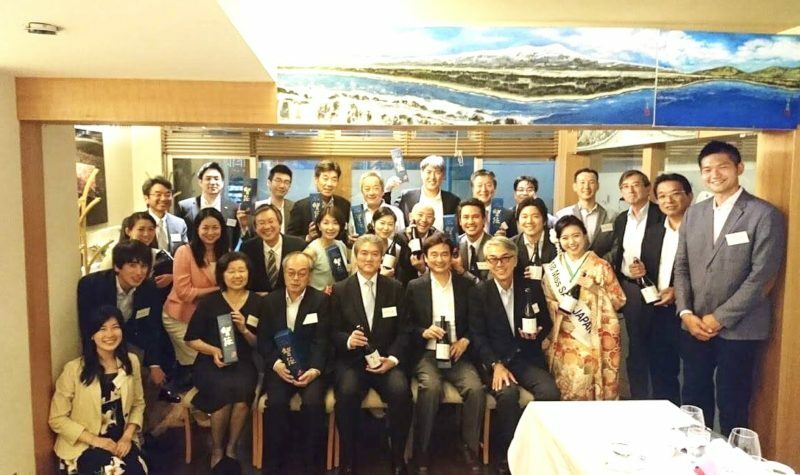 At the party, we spend a great time with delicious food of Yamagata San-Dan-Delo and splendid sakes of Kato Kahachiro Brewery including Chitoku 2018. 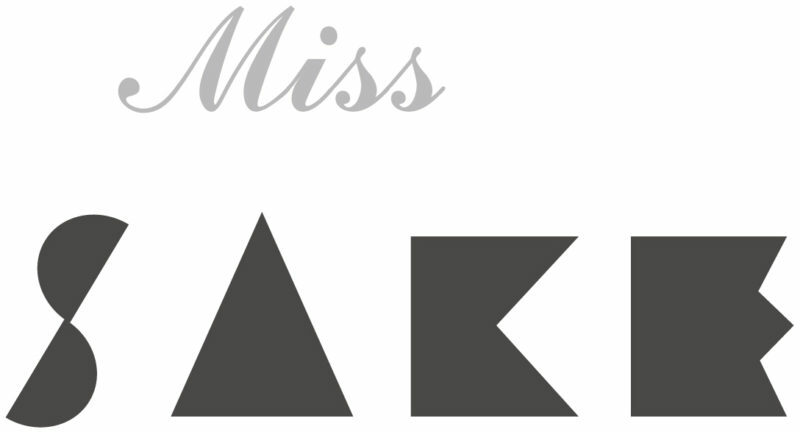 And it was an honor for me to have a chance to introduce the activities of Miss SAKE in front of the guests, who are Keio graduates and have played active parts in various worlds. Also, as one of Keio medical student, it was a special honor that I could introduce my mission as Miss SAKE to Prof. Haseyama, Keio University President, and to Prof. Amagai, Dean of Keio University School of Medicine. The conversations over great sake with the honorable people who have had various experiences in various worlds gave me a lot of learning as Miss SAKE and as a person. 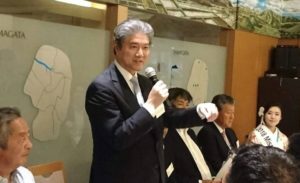 I extend my deep appreciation to Prof. Tomita, Mrs. Seno and all the people involved in the party. Thank you very much for the valuable e.xperience.